Khye is getting better in learning Mandarin. Just a few days ago, he could read a simple and short story book in Mandarin all by himself. There are a few mistakes, but he could read about 90% of the book which has about 10 pages of it. I am really surprised too, and he seems to be enjoying reading the books he borrowed from his Mandarin class. This to me is really great progress considering that he has zero Chinese/Mandarin exposure at home. 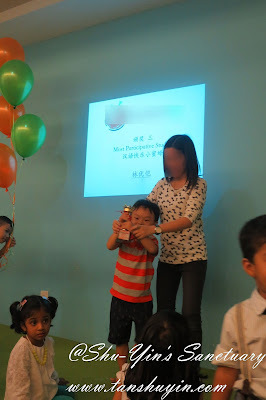 He reads better than me now (no surprised because my Mandarin reading is like erm...super nursery level haha). 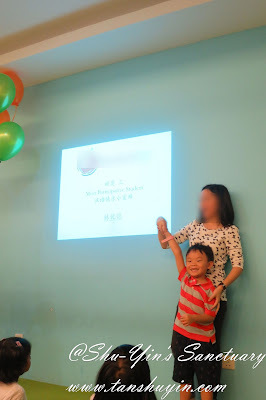 And just a week ago, his Chinse/Mandarin class has an Open Day where they celebrated with a Lion Dance, a Puppet Show, some games and etc. 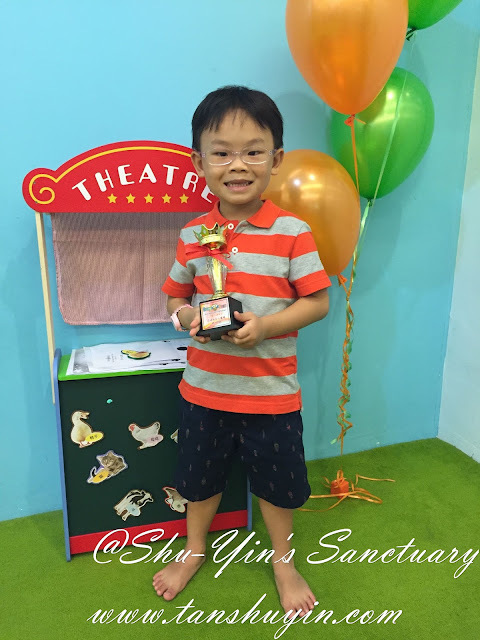 They also had 5 trophies to be given out to their outstanding students, and Yiu-Khye was ecstatic that he was one of them! They even did a short video clip on how Yiu-Khye always participated in everything in class, be it games or dancing, singing, reciting, etc. 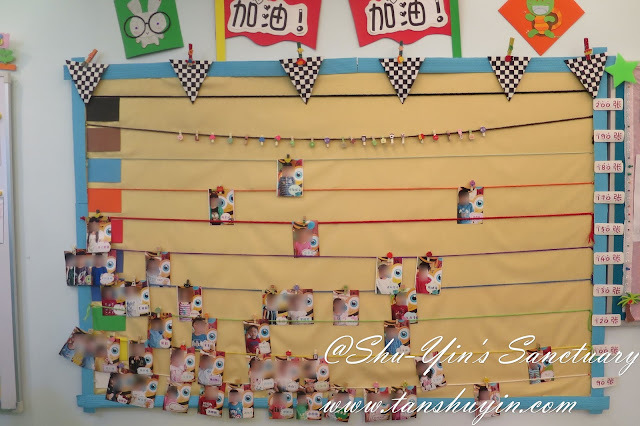 Here is a short video clip of Yiu-Khye and his friends reciting in Mandarin. Another one with a girl in his class. Look how much fun he was having. This is the string of stages the students are in the class. Yiu-Khye from not knowing a single word of Mandarin when he joined the class mid of last year was in the lowest stage of all, the "white" string. Then he slowly progressed to "yellow" string, and now he is under the "green" string. Zooming in, this is Yiu-Khye. Look how baby-ish he looked here. 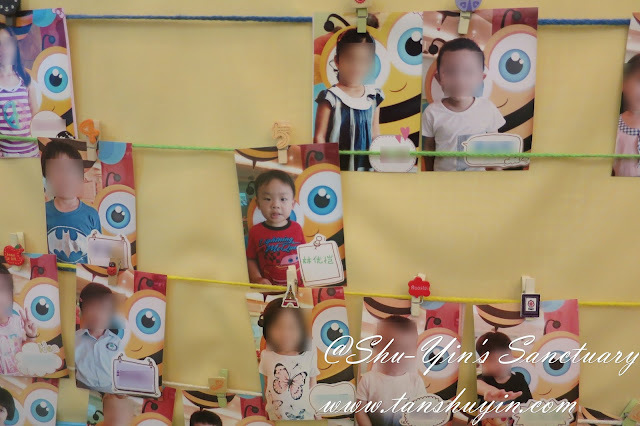 This photo was taken when he first joined the class. In less than a year, my little Khye has grown soooo much! 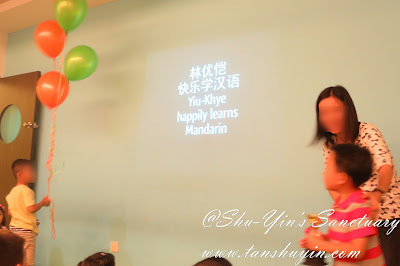 I'm glad he has so much joy learning Mandarin, all also thanks to the dedicated teachers there. Thank you for all your guidance and love you have shown to Khye.